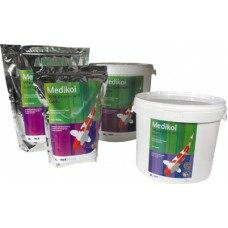 Medikoi Beauty 1.75kg Enhances colour and improves nutrient uptake. 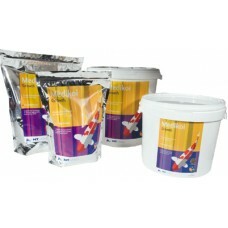 Contains paprika which..
Medikoi Beauty 3kg Enhances colour and improves nutrient uptake. Contains paprika which en..
Medikoi Growth 1.75kg Medikoi Growth has been formulated to provide a higher pro..
Medikoi Growth 3kg Medikoi Growth has been formulated to provide a higher protei..
Medikoi Health 1.75kg Boosts immune system, helps prevent infection. 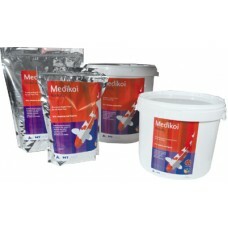 MediKoi Health contains a ..
Medikoi Health 3kg Boosts immune system, helps prevent infection. 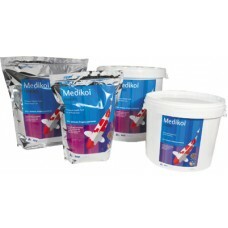 MediKoi Health contains a uni..
Medikoi Wheatgerm with Garlic 750g Is a reduced protein maintenance food with garlic, for prote..
Medikoi Wheatgerm with Garlic 3kg Is a reduced protein maintenance food with garlic, for protec..